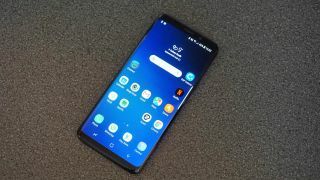 There’s no doubt that the Samsung S10 will be a powerful phone, but early benchmarks for the version using the Exynos 9820 chipset (which is likely to land in most regions outside the US), came back with disappointing scores. However, a new benchmark has the sort of numbers we were hoping for. Shared by leaker @UniverseIce, the new benchmark was found on Geekbench and reveals a single-core score of 4,472 and a multi-core one of 10,387. That actually marginally beats a Geekbench listing for the Snapdragon 855 version of the Samsung Galaxy S10 Plus (the version likely to land in the US), which came in with a single-core score of 3,413 and a multi-core result of 10,256. So the two chipsets could be more equal in terms of power than we previously thought.